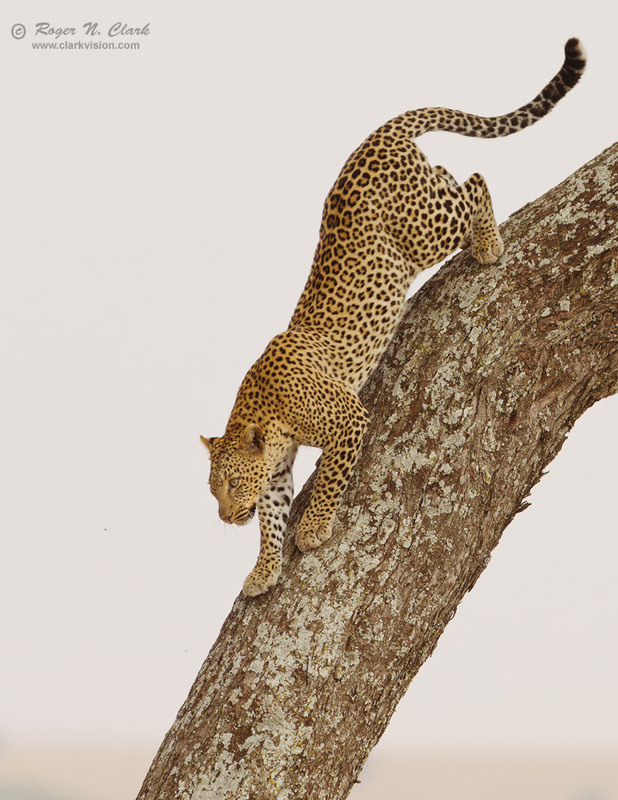 Leopard in the central Serengeti, Tanzania. Serengeti National Park. Technical. Canon 1D Mark IV digital camera, 300 mm f/2.8 L IS lens with 1.4x TC, working at 420 mm, f/4.5, ISO 200, 1/640 second exposure. Exposure Program: Manual. Crop to 7 megapixels.